How many times will I mention the new schedule that I'm posting to, eh? One of the old features of my blog that I've been wanting to bring back is Foodie Fridays. 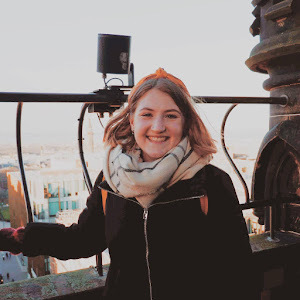 I used to love writing about all my favourite food places and food adventures - I'm a big food lover if you didn't already know. All you need to do is take one look at my instagram feed and you'll see every second / third picture is one with food in it. What can I say - food is a big part of my life. So here we are - back making foodie fridays, and starting it off with a sneak peak into one of the times I popped into Coro - The Chocolate Cafe. Now I'm a big coffee shop lover - I know I said in The Autumn Tag that I'm not a coffee lover, but I love the cafes, and having a hot chocolate or a fine piece. But this spot is every chocoholic's dream - it is literally called the chocolate cafe. Located just off of Princes Street - on Howard Street - its the perfect stop off after some shopping - in fact after I picked up this outfit (and lots of others) I was in need of some sugar to bring back some energy. 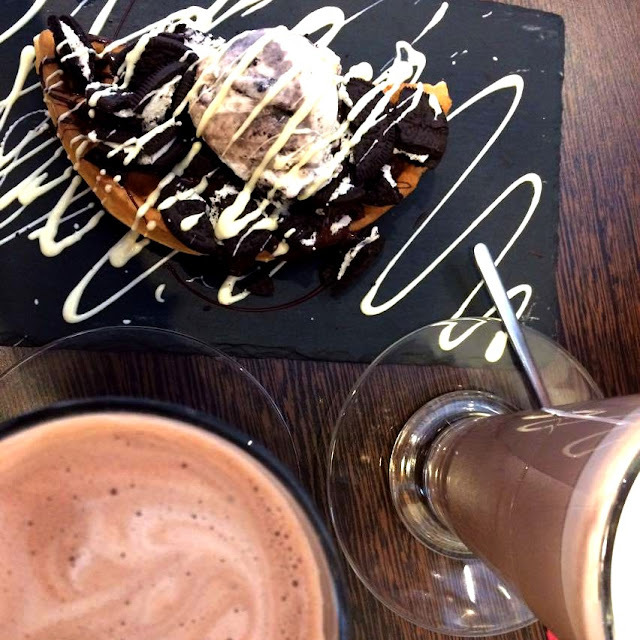 And what pick me up is there than a hot chocolate and a waffle? The menu is filled with so many goodies, its hard to pick from. There's plenty of flavours to pick from of hot chocolate, with mint and caramel being just a few. Or you can opt for a milk shake which is served in a glass milk bottle - super cute right? 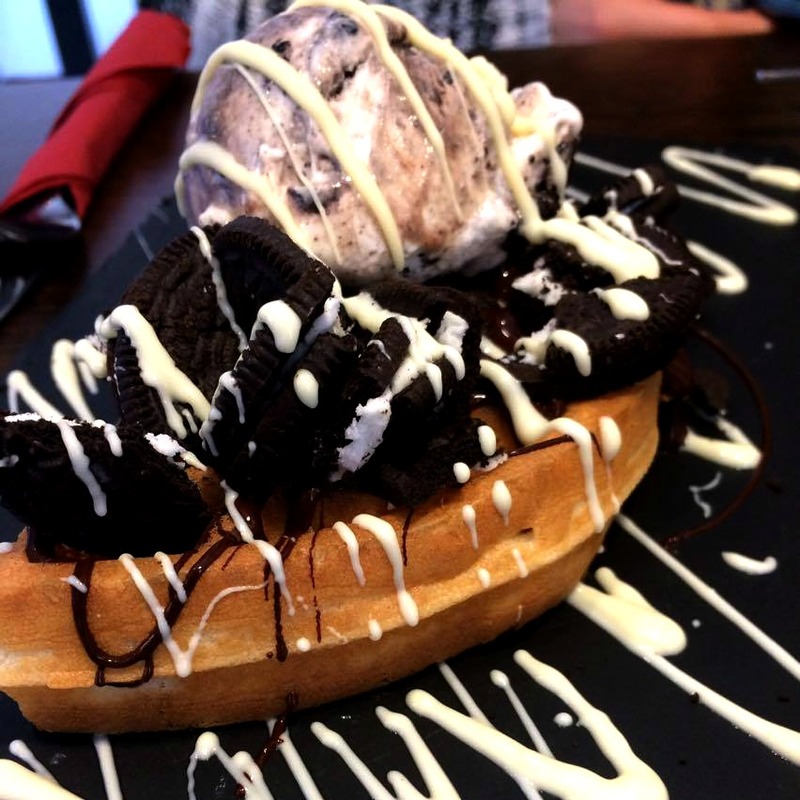 From waffles to brownies, sundaes to pancakes - the choices are endless, with so many toppings. And even then if you don't find something that tickles your fancy, you can create your own magic. I chose to have a caramel hot chocolate - in a large of course or else what's the point? - and halved a oreo brownie. 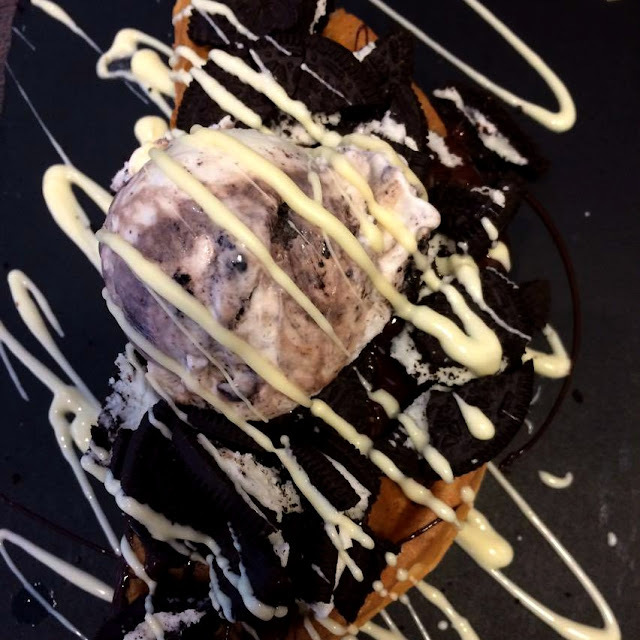 Served on a slate, with a splashes of white, milk and dark sauce over a waffle and scoop of ice cream, this is literally a dream on a plate. It's the perfect chocolate creation, that will have you in a choco-coma in no time. And if chocolate isn't your thing ( I'd have to ask how and why ) then there's sandwiches, paninis and soups that you can devour your way through too. The cafe itself is also super cute, with adorable sayings over the walls, really hitting home that chocolate = life. The counter is filled with beautiful creations, and you can watch ( and smell ) as your chocolate order is created. I've already started to plan my next visit & I think a chocolate fondu is on the cards!